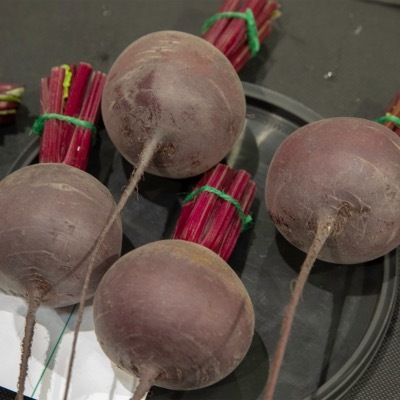 Subeto F1 is a high quality variety producing uniform, spherical roots of intense, deepest crimson Subeto F1 hybrid can be grown for baby beets or left to mature for larger beets. No coarse rings when cut. Winner of the NVS Championships this year. Culture: For early crops sow March-early April. For use in summer and autumn make successional sowings of suitable varieties from late April to July. All our varieties are bolt resistant. Store roots in dry sand, soil, or peat for winter use. (12-16 weeks maturity.